Clarens is straight out of a fairytale. 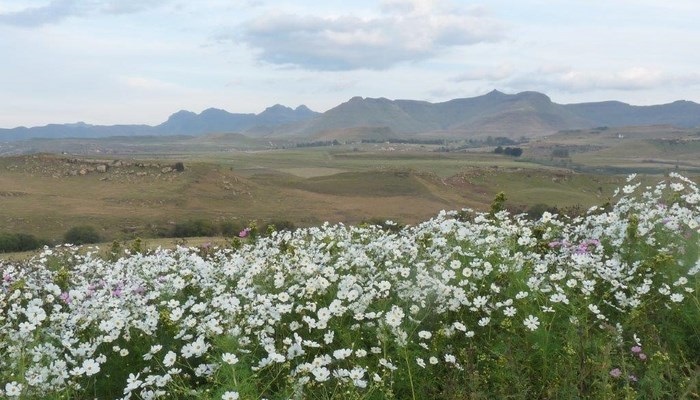 With golden mountains, winding rivers, sprawling gardens, quirky and unique spots, and free-roaming wildlife, it is little wonder that Clarens is an artist’s haven. 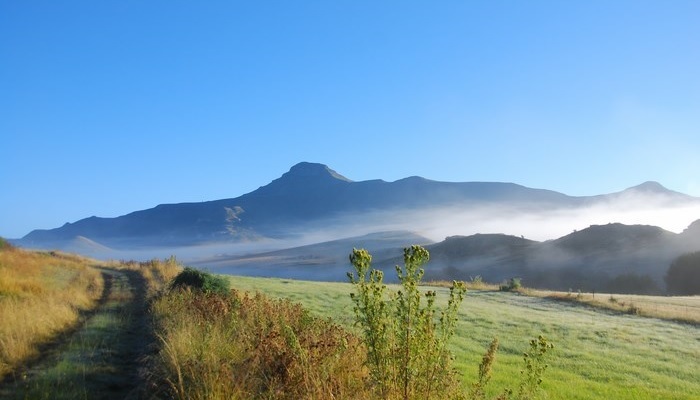 Clarens boasts over 20 galleries, which is almost double the number found in any other small town in South Africa. With its incredible beauty and hospitable village atmosphere, artists from all over the world come here to be inspired by the surroundings and to partake in artistic workshops. Tina de Beer, owner of Tina de Beer Gallery and head of the art forum, shares her thoughts on the changing seasons in Clarens. 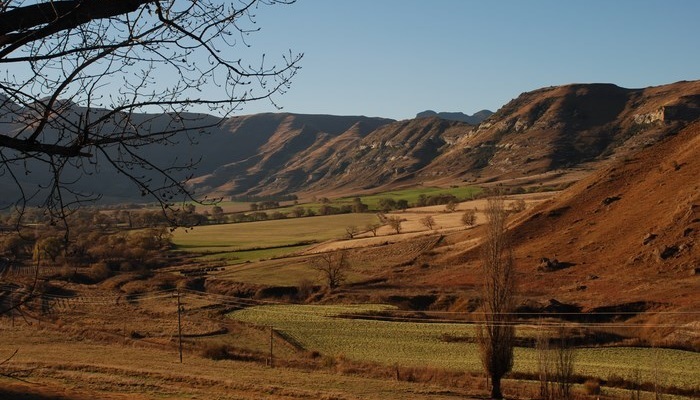 Sites of interest in Clarens are plentiful, from each and every sandstone house, to the gorgeous valley views. Here are the most worthwhile spots to see. 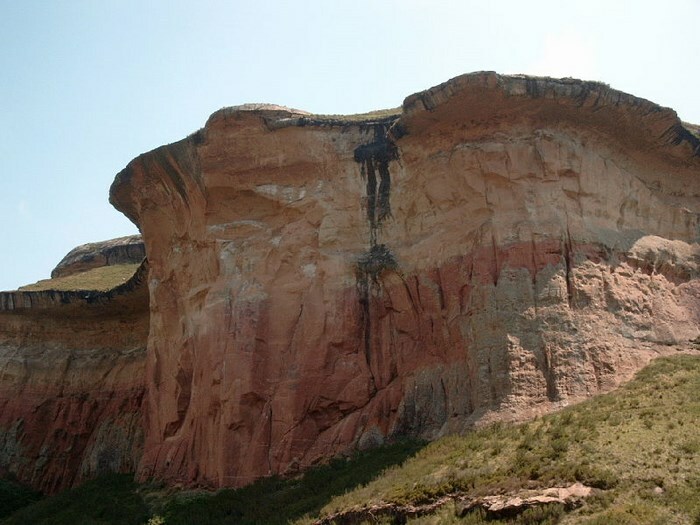 This massive rock feature overlooks Clarens’ entrance. Legend has it that upon hearing the news of the Titanic’s sinking, a shocked local looked towards the rock feature. He noticed similarities between it and the sunken ship, and the feature has become known as Titanic Rock. 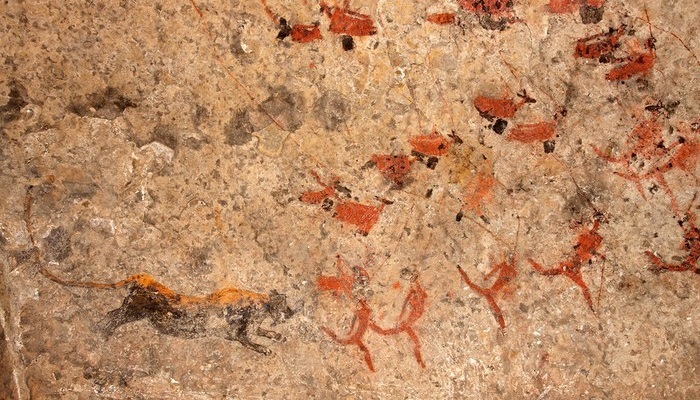 Bushman paintings are of great historical value – especially in the art world. 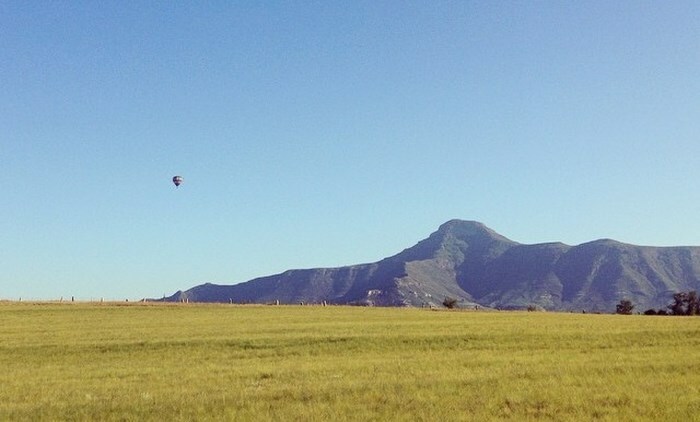 They can be found on Schaapplaats farm, as well as in the Golden Gate National Park. 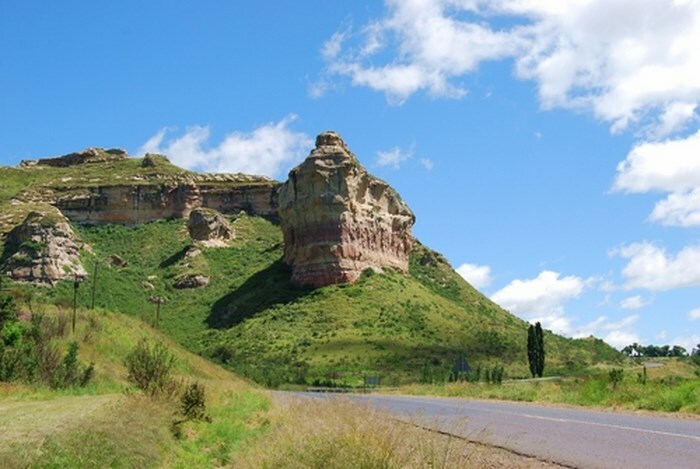 Set just under 20km outside of Clarens you will find towering red stone mountains, free-roaming wildlife, and numerous hiking trails. The Motouleng Fertility Caves can be found at De Lusthof Guest Farm. These caves are considered to be sacred and have been used for more than 800 years by local tribes who use them as a gathering spot for spiritual matters. 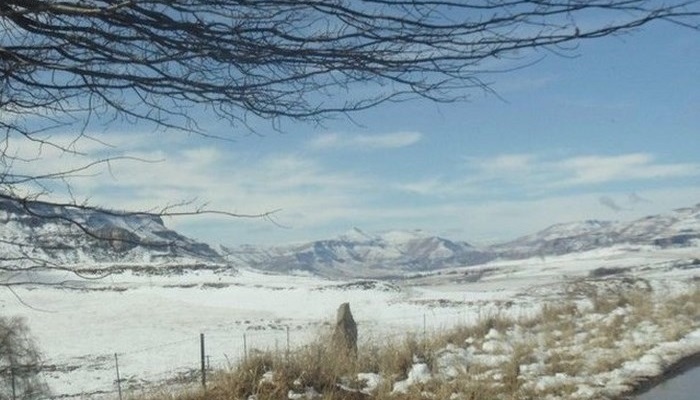 They are located 20km outside of Clarens. 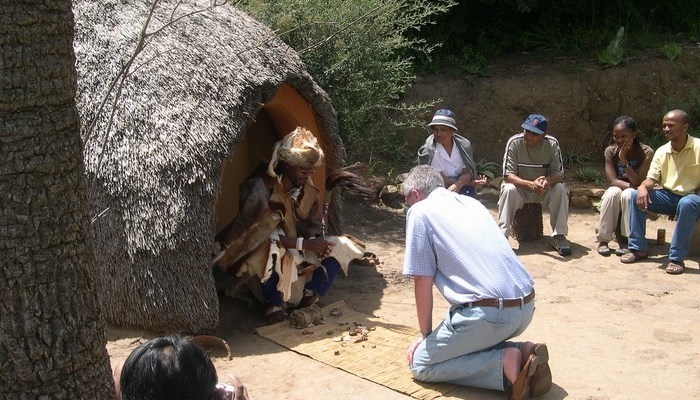 The Basotho Village is a fascinating spot in Golden Gate Highlands National Park, giving visitors insight into the local culture. 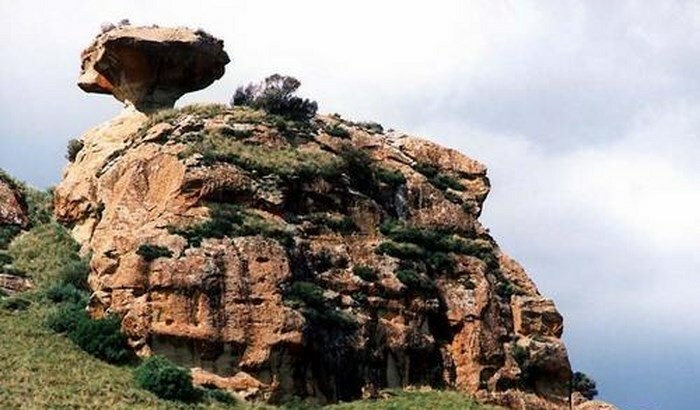 Mushroom Rock is 3km outside of Clarens, on the Fouriesburg road. It is a unique rock formation which bears striking similarities to the fungi it is named after. Surrender Hill is a historic Anglo Boer War site with beautiful views. 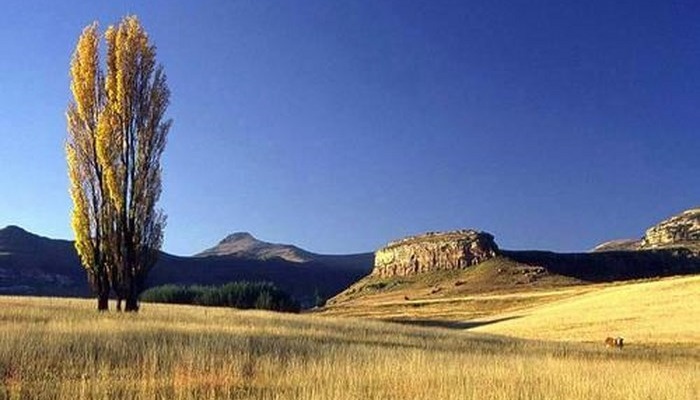 It can be found 10km away from Clarens on the Fouriesburg road. The annual 42.2km Surrender Hill Marathon takes place here. Art workshops, retreats and craft courses, occur monthly in Clarens. From seasoned painters right through to those who have absolutely no artistic inclinations will enjoy the variety of courses available. Learn everything from how to paint with acrylic, oils, and watercolours, to creating your own canvas boards and learning styles such as neo-impressionism. 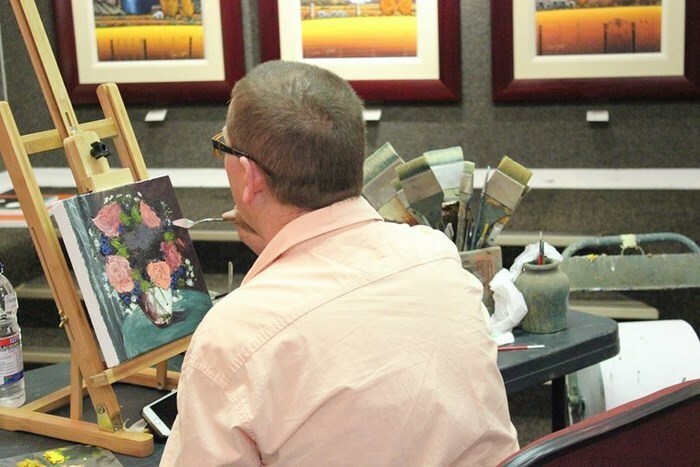 Art workshops are held at the various galleries in Clarens, with trips to beautiful gardens and the surrounding countryside, so visitors will have plenty of inspiration to draw on. Stay up to date with these events with Clarens News. Simon Addy creates mainly surrealist works in acrylic and print, while Lyn Hoyle creates whimsical figures and magical stylised landscapes. Both artists offer commissions. With beautiful mountain views, the gallery offers the chance to browse through the various paintings of people, houses, and landscapes, with funky ceramic and blown-glass sculptures. Wine: Collections and vintages from wine farms around South Africa. 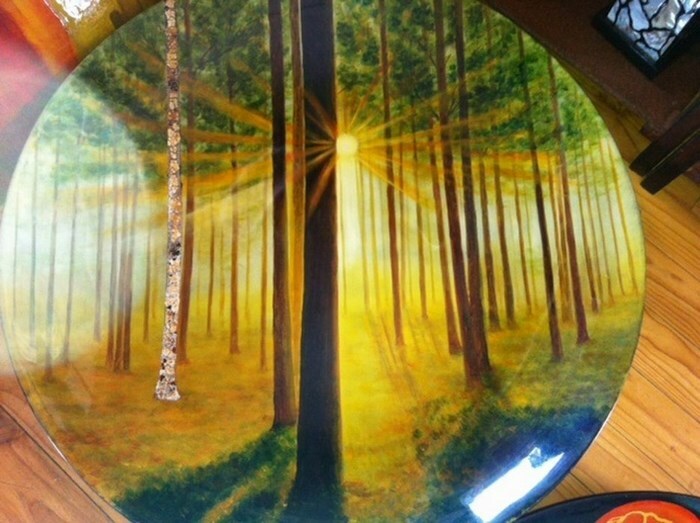 Artefunto is known for fusion art made from bamboo canvases, which is shaped into beautiful plates with contemporary and surrealist scenes. 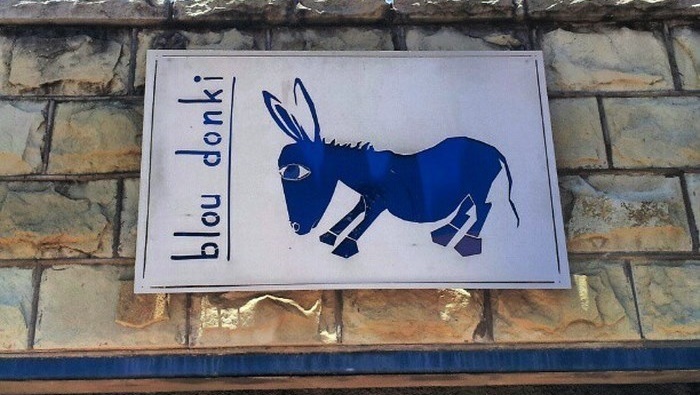 Showcasing various South African artists, Blou Donki Art Gallery includes paintings, sculptures, ceramics, photography, and functional art. 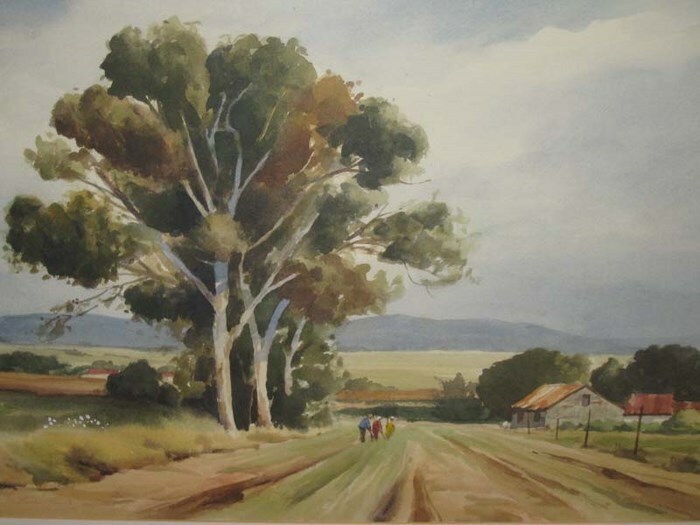 Enslin Vorster specialises in watercolour landscapes. His work can be seen in numerous corporate, private, and public collections which include the likes of Altech Electronic Systems, Standard Bank, South African Broadcasting Corporation, and the Transvaal Rugby Football Union. 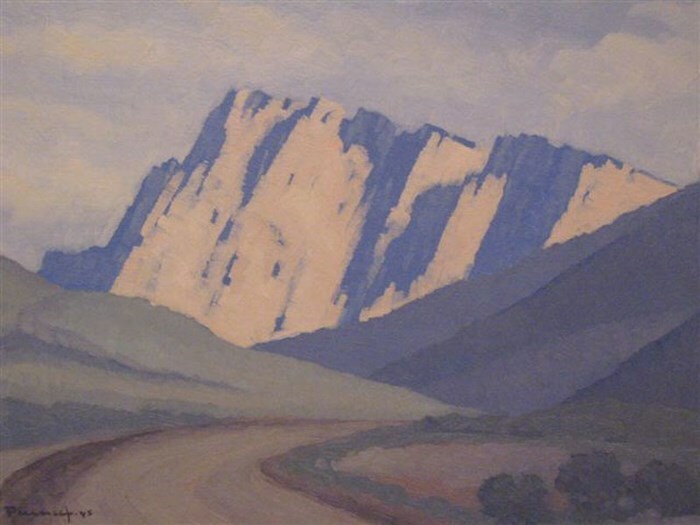 Said to be the only gallery in Clarens to display tasteful nudes and bodyscapes, Essensual showcases a variety of South African artists. Art forms include oil, acrylic, charcoal sketches, sculptures, and more. Greeting cards and craft products are available too. 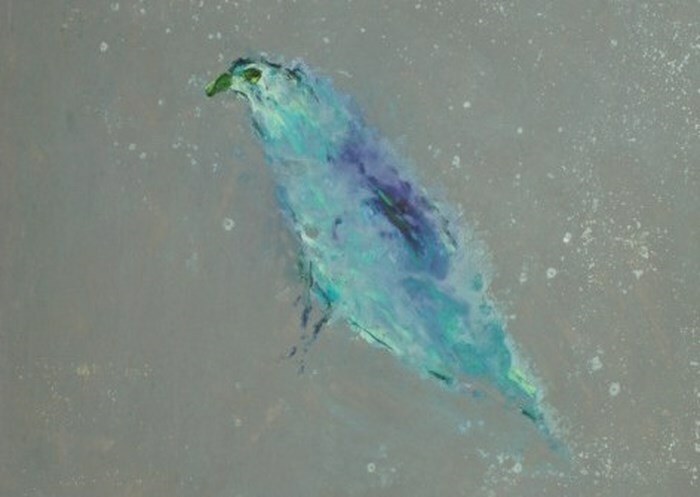 Helen Classen has gained fame for her acrylic still-life and whimsical images. She aims to send a message of “peace, hope, and love”. 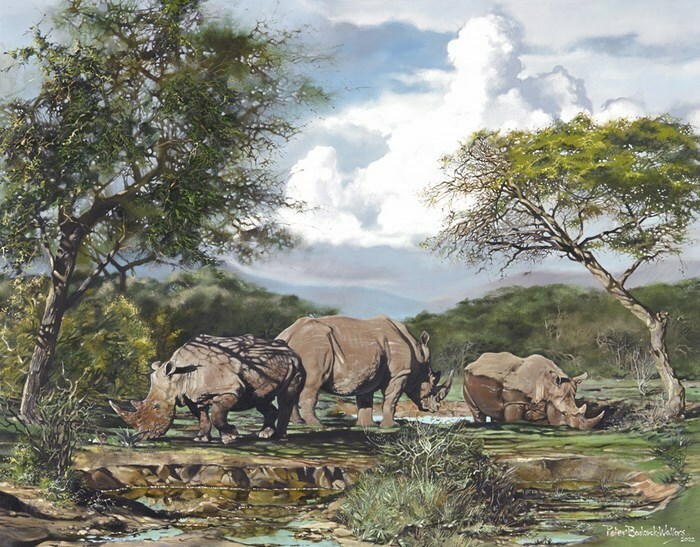 The Johan Smith Art Gallery showcases the work of Johan Smith, which includes landscape and floral paintings, as well as artistic pieces from others artists such as hand-made glass, ceramics, bronzes, and contemporary paintings. 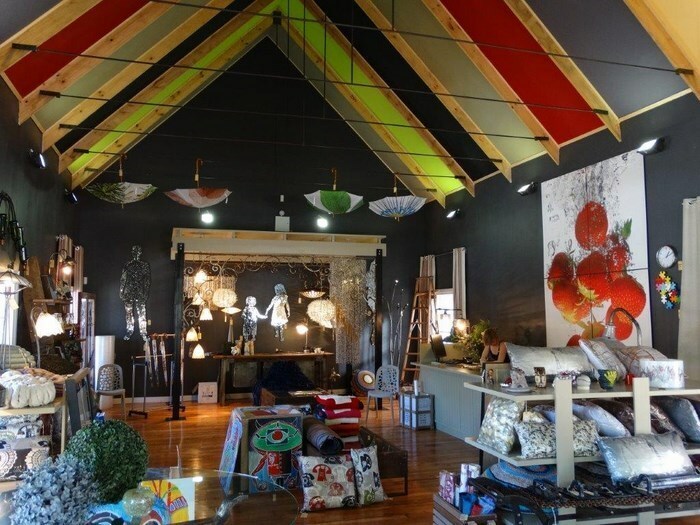 Run by Karen and Malcolm Hickman, the cosy design shop of Kalmer represents the varied artists and crafters of Clarens. You’ll find a mishmash of beautiful and eclectic items for sale. Focusing on hyper-realism and working mainly in acrylic, Peter Bonney creates incredible landscapes that capture large skies and spaces; bringing a sense of peace and serenity into each of his artworks. Peter Badcock-Walters is the author and illustrator of 6 books, which have led to his international acclaim as one of the last great war artists of the 20th century. He is well-known for pairing poetry with finely-detailed images. 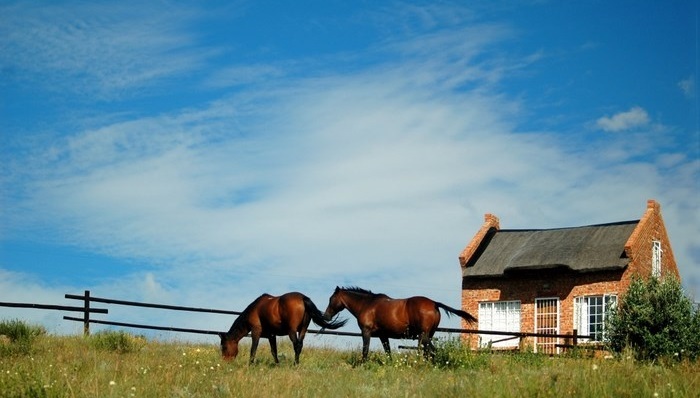 Pop into the gallery to see his equestrian and Bosman collections, or stay over at his guesthouse, Clarens Country House. 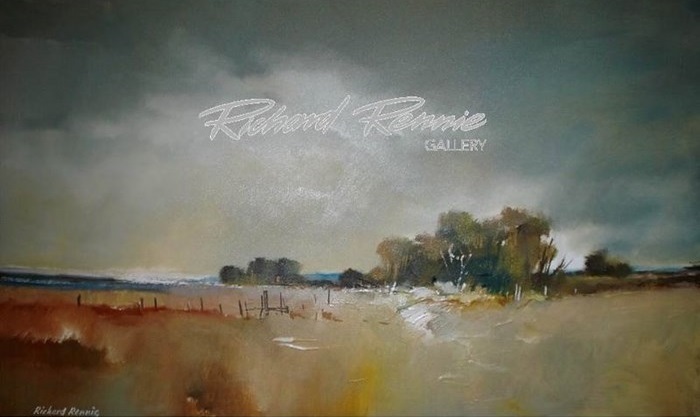 Richard Rennie is a lovable artist who invites you to paint with him throughout the year. He offers well timed advice as opposed to actual lessons. He spends most days painting in his sunny studio and is well-known around South Africa for his use of watercolours. 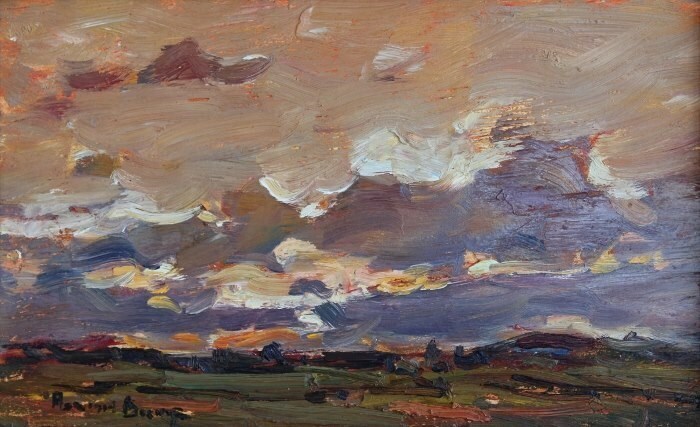 The Robert Badenhorst Gallery showcases works from various artists and Old Masters like Adriaan Boshoff and Zakkie Eloff, alongside talented newcomers such as Ryan Loubser. Owner and curator, Elsje Grobbelaar, has filled the Smudge Contemporary Art Gallery with artworks that have an unusual and modern feel. 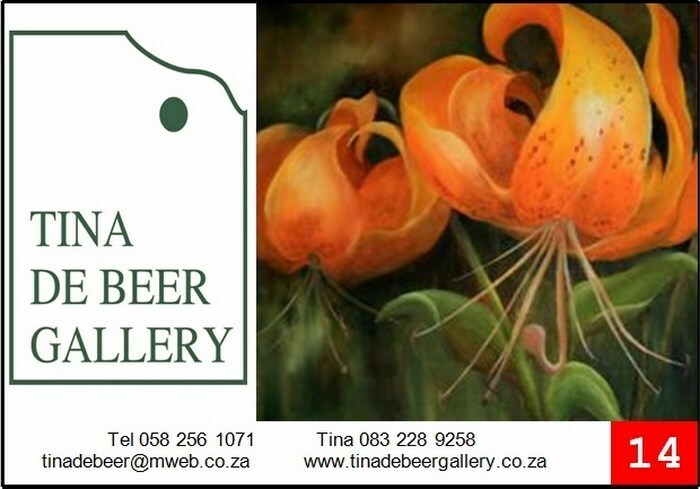 Working mainly in oils, with a few mix media and watercolour pieces, Tina finds joy in painting, which is tangible to the viewers who stop by the Tina de Beer gallery. Painting everything from flora to fauna, and landscapes to African life, there is a clean majesty that shines through the individual pieces, which range from styles of realism to impressionism. Commissions are both nationally and internationally requested from her, and she is well known for the extreme effort she puts into these pieces. 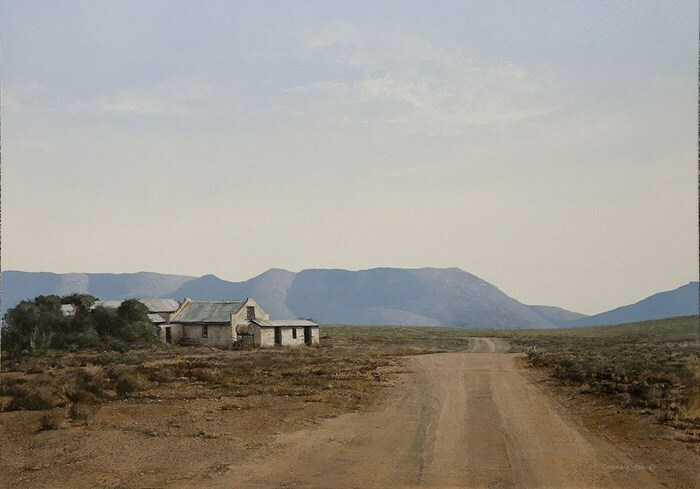 Well known in national and international art circles, Tobias Viljoen is the artist and gallery owner of Tobias Art. His paintings reflect the warm and vibrant colours of South African landscapes and rural areas, with artworks done mainly in oils on canvas. Filled with assorted beaded knickknacks, photographs, and objects d’art, the What Matters Gallery is known for its beautiful acrylic, oil, and watercolour paintings, as well as costume jewellery, gifts, mosaics, cushions, and more! 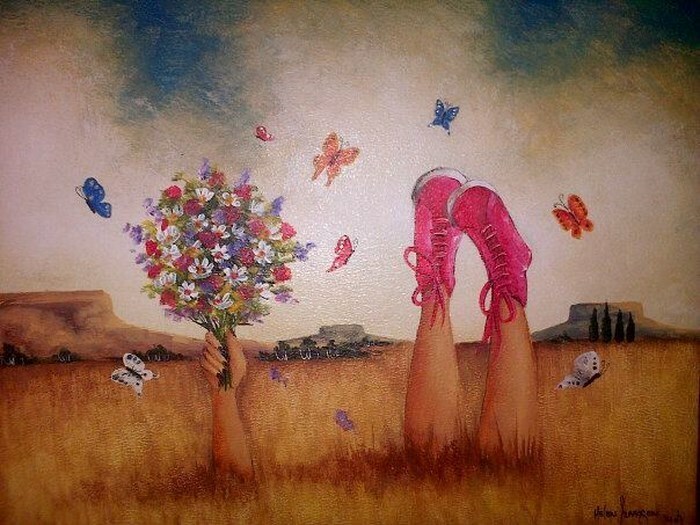 Tell us what arty spots you love in Clarens!